Hanuman is a hindu God. He is son of Wind God and ardent devotee of Lord Sri Rama. Hanuman Jayanti means birth anniversary of Lord Hanuman. Every year it is celebrated on Chaitra Purnima i.e full moon day of the chaitra month. This year, hanuman jayanti is on Saturday, 4th April 2015. People visit temples on hanuman jayanti day. They apply vermilion on the idol of Hanuman. Devotees observe fast and offer betel leaves to the god. Hanuman Jayanti falls on a different day according to telugu and tamil calenders. 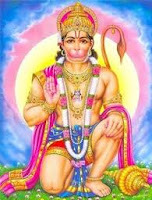 Hanuman Jayanti is celebrated on the full moon day (Pournami) in the hindu lunar month of Chaitra. Hanuman is a devotee of Lord Sri Ram and his birth day is celebrated with much zeal and enthusiasm across the world. This Year, Hanuman Jayanti is on Tuesday, 15th April 2014. On Hanuman Jayanti day, People visit hanuman temples, perform puja rituals and recite hanuman stotrams. This festival date is Differnt for Andhra pradesh and Tamilnadu. In Andhra Pradesh it is observed on Vaisakha bahula dashami. In tamil nadu Hanumath jayanti is observed on Margasira Amavasya and it is coming twice in the year of 2014 and the dates are 1st January 2014 (Sunday) and 21st December 2014 (Wednesday).